Gorgeous, large, NO CFD! Hello I am 576 Sunflower way in Imperial. 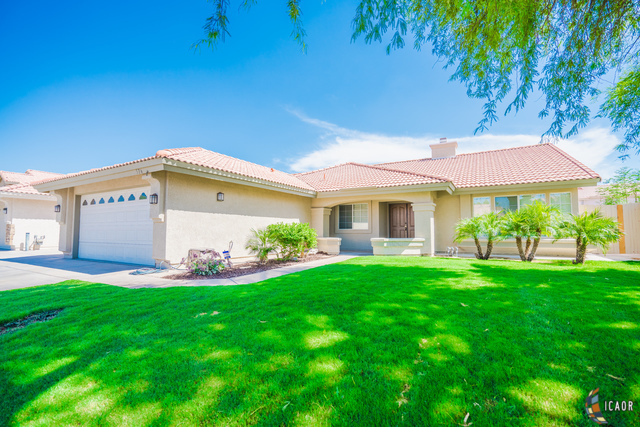 Are you looking for spacious, beautiful home with great curb appeal in a much desired neighborhood in Imperial which has No CFD? Then you need to visit me. Outside is really beautiful. You will definitely enjoy specious living room and family room with tall ceiling to spend quality time with your family and entertain guests. I have been recently painted most of the area and I am very clean. My kitchen is very beautiful and spacious; lot of storage area, large counter area and much more. I come with dual face fire place to keep you cozy in the family room or the living room. Master bedroom is very good size and master bath is very spacious. Inside house laundry room with a sink, and additional linen closet are always desired. Did I mention about large backyard with a full size patio and built in Bar-B-Que? I am walking distance from award winning T.L. Waggoner elementary school. So hurry and make me YOUR HOME! !